On November 19th, 1994 I performed for the first time on stage with The Gathering. It marked the beginning of my professional career. 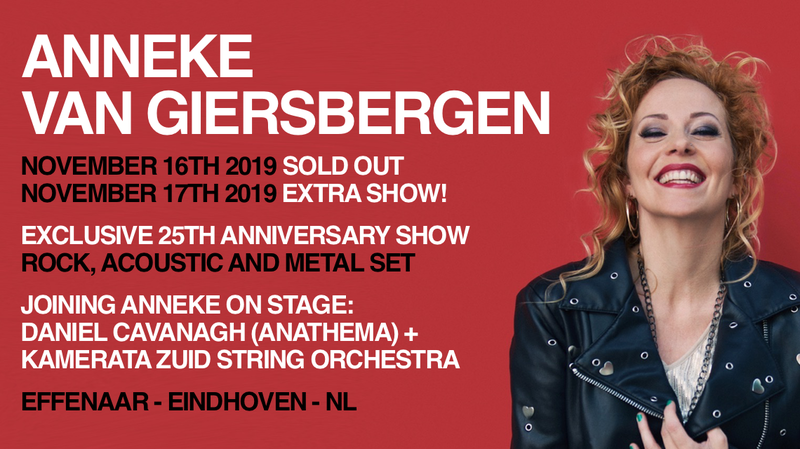 This year, on November 16th & 17th, 2019 I will celebrate this anniversary with two exclusive shows at Effenaar in my hometown Eindhoven. I will perform a career-spanning setlist together with musicians from my solo band ánd VUUR. My friend Daniel Cavanagh (Anathema) will join me on stage as well as Kamerata Zuid string orchestra. I hope to see you at these special shows! !